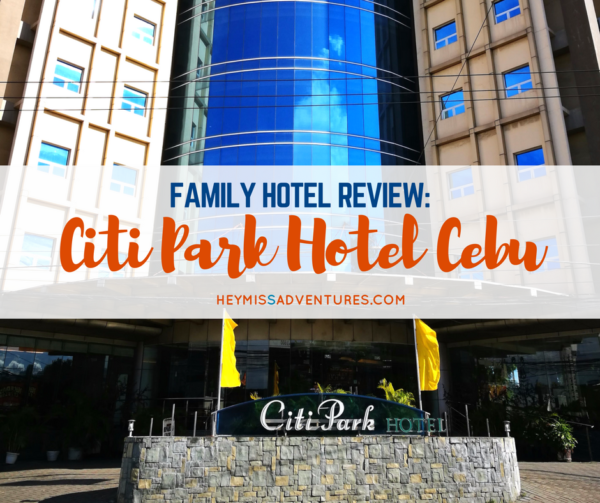 Family Hotel Review: Citi Park Hotel Cebu | Hey, Miss Adventures! 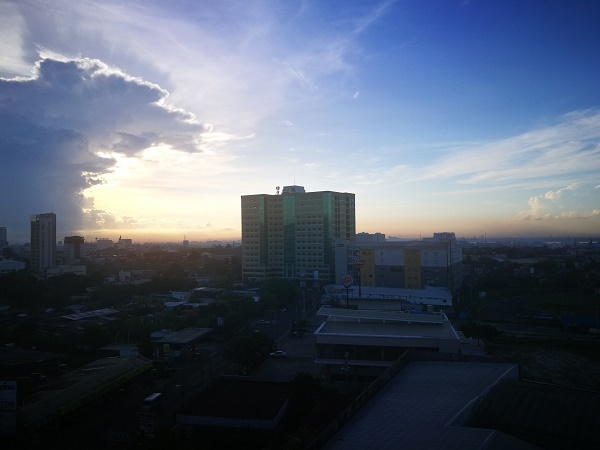 For city-dwellers like us, going on a staycation within the city is something that rarely comes to mind. After all, the city is crowded, hectic and busy so why would you want to spend your weekend (or, in our case, weekday) there. Recommended for families? On a quick staycation? YES! 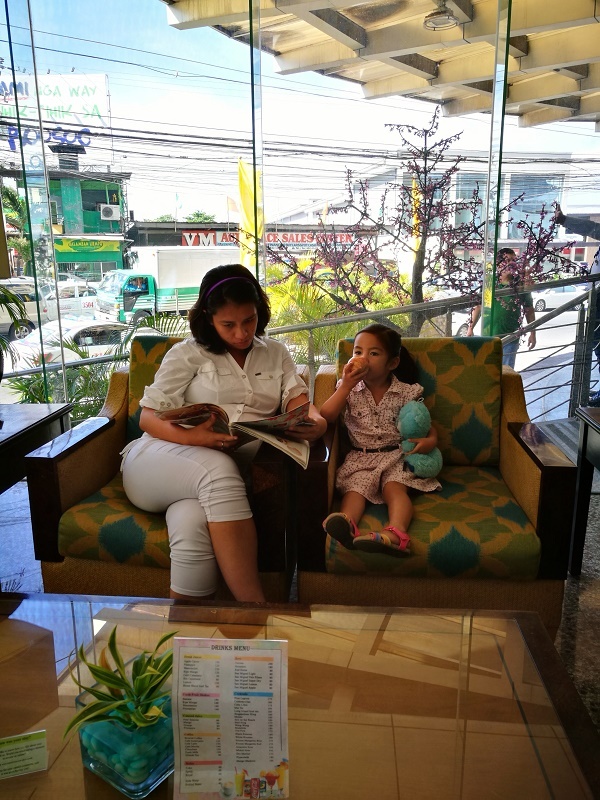 There are plenty of things to do near the hotel (3-5 minutes of walking) that’s perfect for kids and there are lots of restaurant choices nearby, too. We can’t wait to see its expansion — they are planning to add in a swimming pool in the future! We’ve been working from home for nearly two years now so a change in pace and environment, no matter how short-lived, is always something that we welcome. Thank goodness there was Citi Park Hotel to the rescue. We stayed in a huge Family Suite which came with a lot of space to fit a small family. 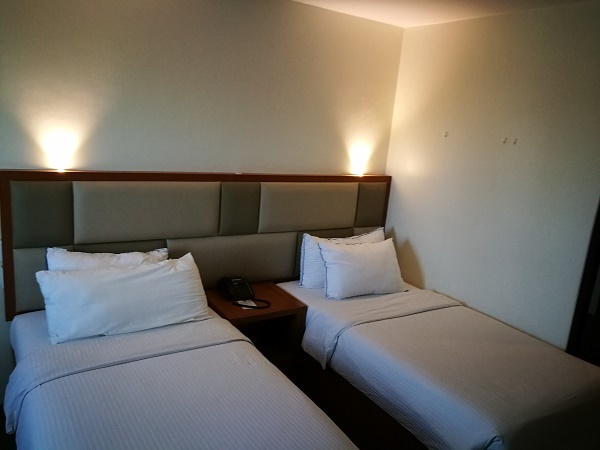 The daughter particularly liked the fact that there are two double beds inside which meant that she get to have one all by herself. Indeed, she had a great sleep that night: the mattress was comfortable, there were lots of pillows and the air conditioning was pretty cold. I personally enjoyed their bathtub (all rooms, except the superior room are equipped with this) and had the chance to soak in there for an hour while the partner enjoyed watching the NBA Finals. We were also treated to these beautiful views from our room, which is located on the 8th floor. With our stay being a weekday, the hotel wasn’t very full with guests. 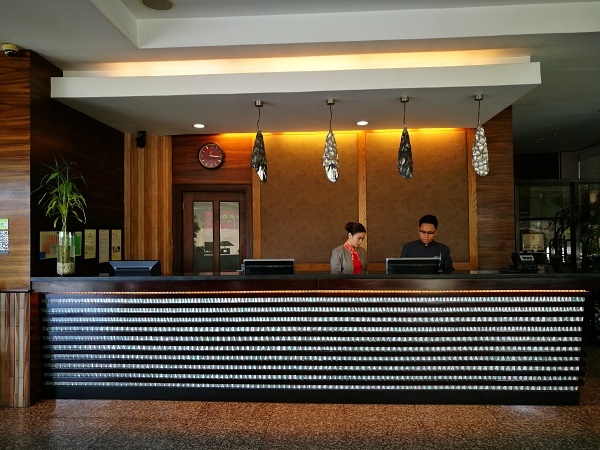 There were also a lot of other similar hotels nearby and we found out that most of the people who came here were those who work in the government, usually coming in the city for a seminar or training. We did get to check out other rooms within the hotel as well as their huge function rooms located at the top floor (9th floor). The place is slightly outdated (hotel is 7 years old) but they have plans of upgrading them soon. Citi Park Hotel only has one restaurant, called Pedro’s Restaurant, which is open from morning until night. They are currently offering a breakfast buffet and serve lunch and dinner a la carte. 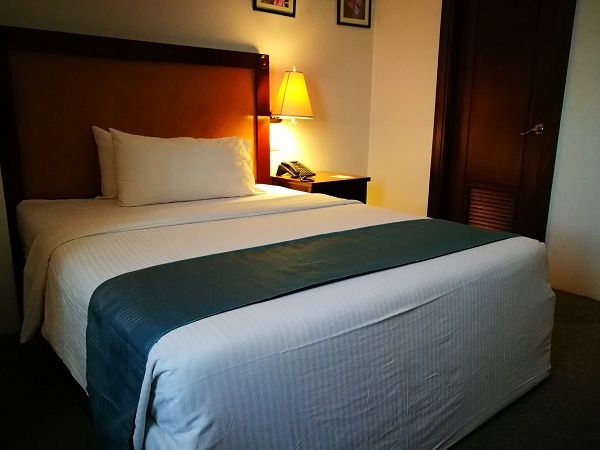 Citi Park Hotel is located along Panagdait Road and can be easily accessed via a 10-minute taxi ride (no traffic) from Ayala Center Cebu. Those taking public transportation can ride 03A jeepneys from Mabolo. It is also possible to take a tricycle from Wireless but you will have to walk for around five minutes from Sykes area to the hotel. 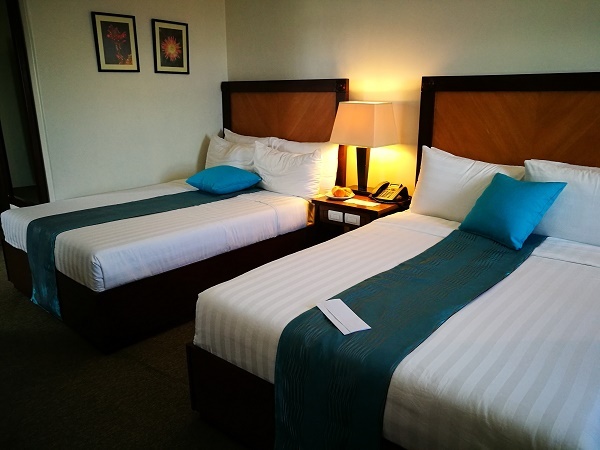 Got a place to stay for Sinulog? 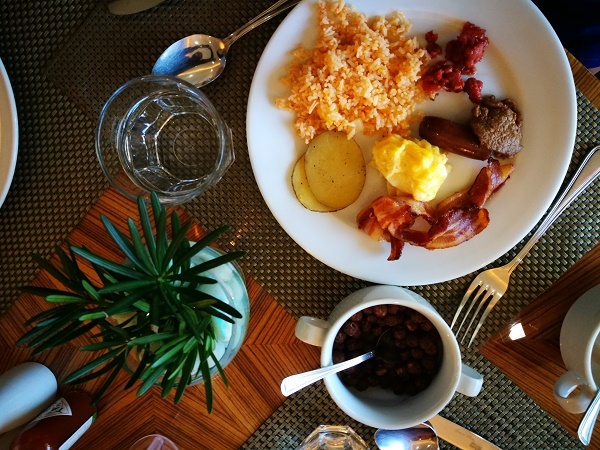 Rates start at Php 3,700 per night with free breakfast buffet for two persons! 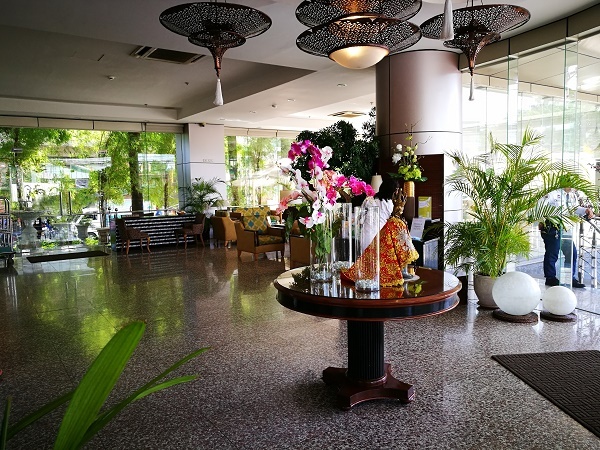 If you would just like to chill out and laze the day away, you can hang out by the lobby. They offer refreshments while you work or read. 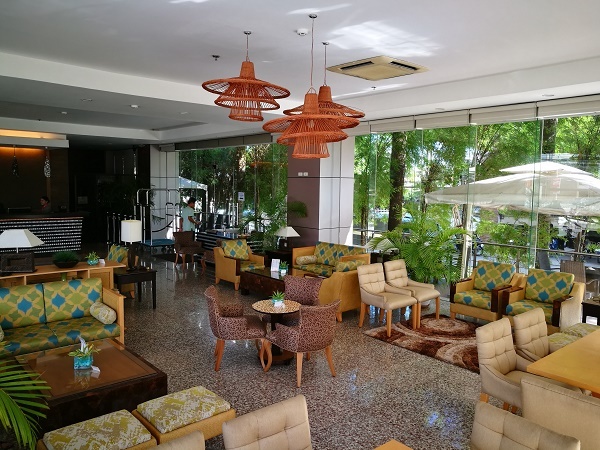 There is also a pocket lobby right outside the hotel that will make you forget that you are actually located within the city premises. I particularly love the space but there aren’t any power outlets that will allow me to work on my laptop. They are perfect for those looking for a breath of fresh air or for those who need to smoke. 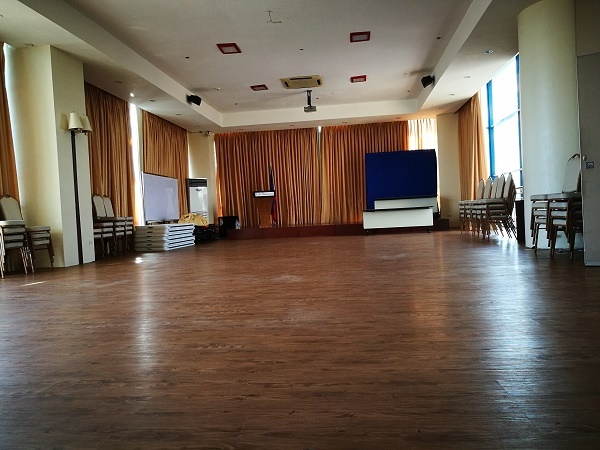 Other than this, there really isn’t much to do within the hotel premises. There are talks of expanding the property in the future and they have plans of adding a swimming pool to entice you to stay longer. We can’t wait to check out Citi Park Hotel when that time comes! 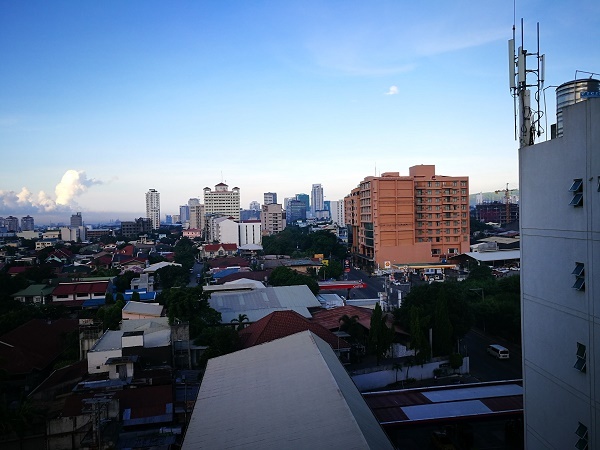 The great thing about this city hotel is that it is quite close to several entertainment and recreation spots in the Mabolo area. 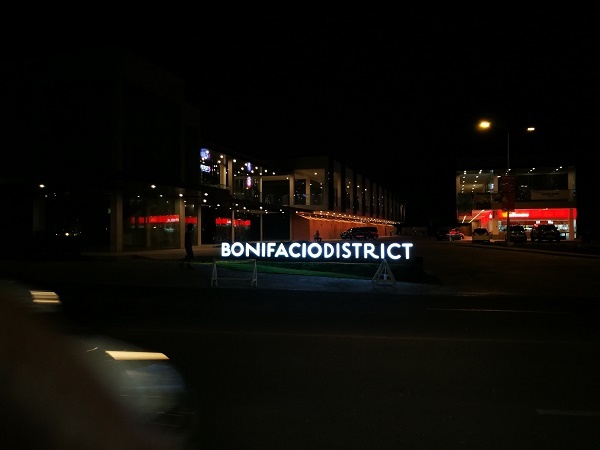 For starters, it is located just a few minutes away from one of the biggest malls in the city. If you are looking for something more to do, there’s also Kartzone and Rainforest Cebu nearby. Looking for eating options? 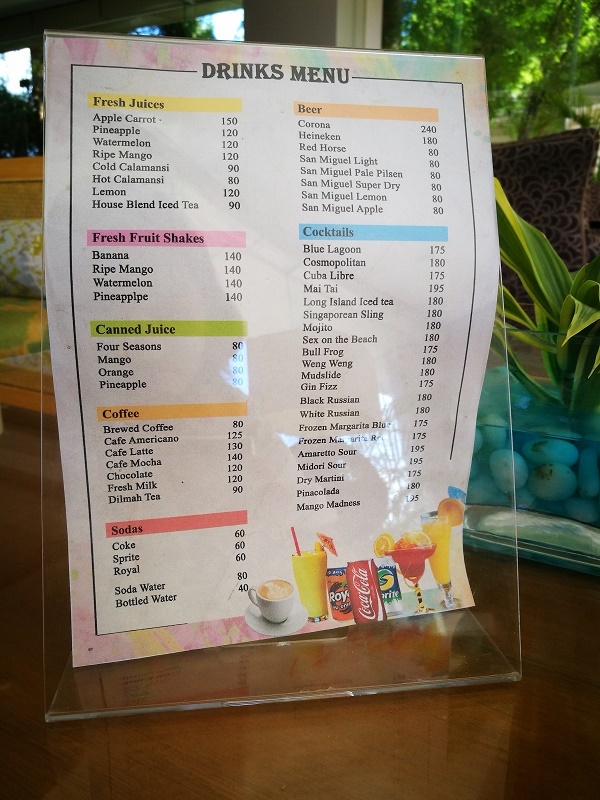 There’s definitely a lot of choices for you: Jollibee, Burger King, Rico’s Lechon, Shakey’s and many more. 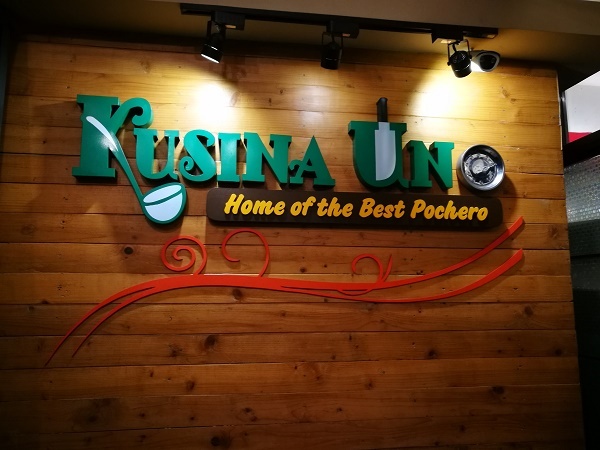 The night we stayed there, we made sure to visit Kusina Uno which is best known for its delicious Pochero. If you want to do some grocery shopping, you can also do that at Fooda, located right behind the hotel. Sadly, the connection inside our room during our stay at Citi Park Hotel was intermittent. They are currently upgrading their system which was why I wasn’t able to work inside the room for very long. 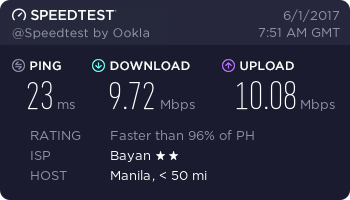 My pocket WiFi was able to connect without a problem though but it was unfortunate that I didn’t have unlimited data that time. The connection at the lobby was great though and I was able to work for a bit there. There are lots of tables and chairs and power outlets (inside) so you can choose to sit wherever you like. 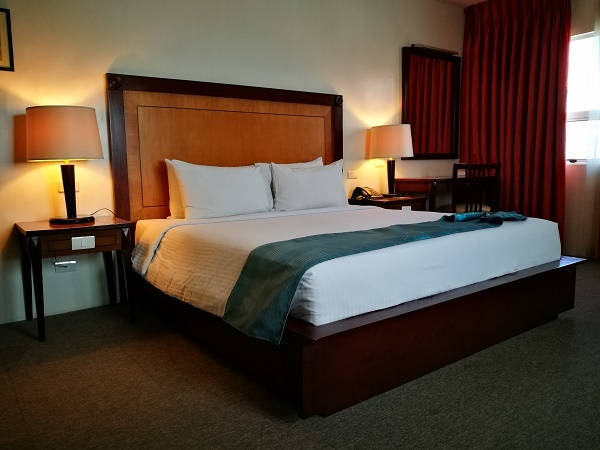 Those living within Cebu might choose to stay at Citi Park Hotel if you just want to have a quick change of environment but would like to stay away from huge crowds. It is also great if you want to be served with a delicious breakfast buffet in the morning. 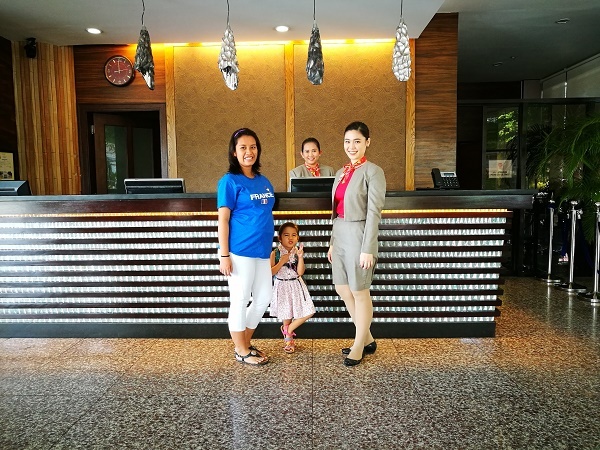 Those coming from outside Cebu will love Citi Park Hotel as it is very close to several entertainment and dining options that’s fit for the whole family. There’s go-kart area and an obstacle-course-slash-oceanarium-and-zoo nearby plus several restaurants as well. 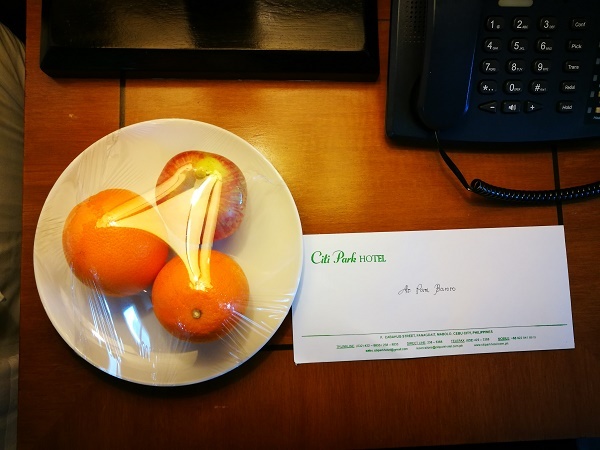 Disclosure: We were invited by Citi Park Hotel to try out their Family Suite Room for a quick staycation but all thoughts and opinions are our own. 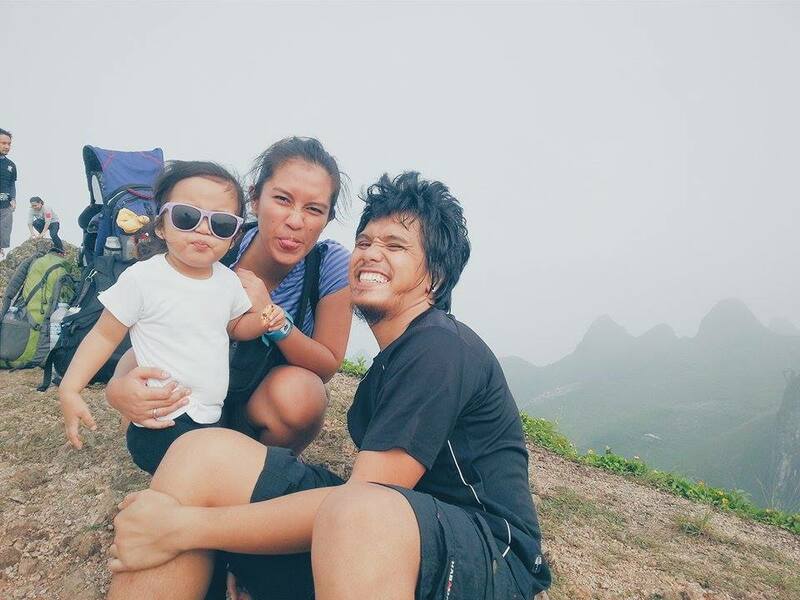 Pam is an outdoors-loving millennial momma who loves to hike, trek and camp in the beaches and mountains with her partner and their kiddos. When not exploring the great outdoors, she works with bloggers, coaches and solopreneurs to free up their time so they can work on the things that they love and enjoy the most.